JackDole is right. In order for a Lagrange point to exist within the horizon there would need to be a mass in a circular orbit within the horizon. But for a mass, no circular orbits are allowed within 3 times the horizon radius. Black holes are just very strong attractors... stronger than Newtonian gravity would suggest. The effective potential plummmets downward very fast near the horizon, and even more so if a particle has any sideways velocity. Black holes are like quicksand. Once you're caught too close, then any amount of struggling makes you sink faster. Try to orbit, and it pulls you in more! I suspected that (but I didn't know that there is a 3 times radius limit, which seems less obvious). Then, I also suspect that it may also be difficult to form Lagrange points outside the horizon which not even light can reach, even given the freedom to pick whatever configuration. But intuition breaks down here, so I'll stop guessing. Yeah, I don't think it is obvious at all. You'd think it should be possible to orbit as close as the event horizon. Also odd is that light can orbit at exactly 1.5 horizon radii, vs. the 3 radii for massive particles. I've yet to find an intuitive explanation for either of these (besides "the math says so"). And then there's the "you fall to the center faster if you fight it" property that's just totally weird. Source of the post But for a mass, no circular orbits are allowed within 3 times the horizon radius. Too bad. This of course means that even the L1 point can not be within the Schwarzschild radius. Can we have a Lagrange point in "orbit" closer than 3 times the horizon radius, and a mass stuck at that point? I think that could work, at least for a short while. It would be the L1 point which is unstable, and the other issue is that black holes that close together will spiral together very quickly by emitting gravitational waves. I'm not sure how close we can have an equal mass pair in a circular orbit before they plunge together. Also, at some point when they get too close, the event horizons "reach" for each other and connect in the middle Where the L1 point would be. So while a mass could perhaps be put there for a little while, it sounds like a really bad place to be! I saw this and thought it would be a very relevant video for this thread. A question: If the bodies are really massive (merged?) black holes, could the slopes down from L4 and L5 be so steep so these points become a kind of massless "white" hole? Intuitively, I do not think so either. But what in the universe is happening from 0:38 to 0:50? These spikes at the 0:50 mark look like nothing I have ever seen before and they are more or less at the L4 and L5 points. 3Blue1Brown is the most gifted explainer and visual animator I've ever seen. Every video of his is a real treat. Source of the post Intuitively, I do not think so either. But what in the universe is happening from 0:38 to 0:50? These spikes at the 0:50 mark look like nothing I have ever seen before and they are more or less at the L4 and L5 points. Good question. The video was originally produced by the SXS collaboration (another very nice youtube channel), and according to their description the heights represent the values of the space-time curvature. I think this specifically refers (or is at least closely related) to the strain in the space-time, which is how much space gets stretched and squeezed along a particular direction, and relevant to how strong the signal will be in a gravitational wave detector. The colors represent the slowing of time, and the arrows represent the direction of the gravitational force at each point in the plane. I don't think those locations would be like Lagrange points -- they are too close and too late in the merger to be equilibrium points. I've sort of returned form holidays now. Watsisname this is so so interesting and well explained I have no words for it. There are a lot of canonical explanations but all I've seen so far avoid talking about the actual issues one encounters while trying to understand the underlying concepts. By confronting yourself with the actual problem and performing numerical integrations you have gain that kind of insight in the topic that allows for an in-depth comprehension of the topic as to not only be able to expose the idea clearly but to transmit the real importance of each step in an empathic way; not just reciting a series of definitions and brief explanations but guiding us throught your personal path to knowledge narrating the obstacles one might encounter and making sense of many questions I for sure had. The fact that the gravitational potential can be generalized by mathematically adding terms that account for centrifugal forces (in the co-rotating reference frame) is always presented as the only step for understanding Lagrange points, but I also wondered about how was that generalized potential able to produce stable equilibrium points with that shape. The fact that coriolis force can't be added to this picture is a clever insight into the problem. Since centrifugal force in a co-rotating reference frame only depends on your position (just as the gravitational force) you can create a coherent map for different values of the potential in different locations of space. But since coriolis force also depends on your speed the entire concept of associating a map to its influence is completly demolished and the good old school association of the "balls rolling down-hill" idea to this map breaks down and is no longer usefull as a methaphor for what is going on. This is amazing and I would have never guessed that it was the effect of coriolis force (that can't be graphically depicted as a map in the same way as the other forces) the one true factor generating stability in the L4 and L5 Lagrange points. Kudos to you for realising that on your own. That talks a lot more about your solid education in physics than the actual knowledge you have. That's a fascinating topic on itself. An interesting mechanical theorem taking place here. I liked the analytical demonstration you sourced. This means that in the vast majority of stellar binary systems there are no trojan planets because L4 and L5 should turn unstable. Source of the post Here is an even larger one (starting farther away from the L4 point), with an overview including the Sun and Jupiter but without the mess of the potential. This diagram here is great also to understand why the fuel consuption is so low in L4 and L5 for a probe launched from Earth. Not only there is stability (and thus no in-flight corrections are needed) but also there are a lot of places to insert the probe into that path. You don't need to get to L4 to end trapped by it, you just need to reach some part, for example, of the path you showed and be placed there with the right speed. As you can see the trojan orbit gets very close to the actual planet so you need very little propulsion to reach that place with the right speed to get trapped in L4/L5. I want to try to adress this. As Watsisname said; establishing a non-inertial co-rotating frame of reference has many advantages in terms of understanding the actual situation but it also has some disadvantages (non-inertial forces as coriolis and centrifugal have to be invoked and even then are difficult or impossible to represent in a potential dwell map). Inertial frames of reference are great because of one thing: they are what we are used to picture in our minds frequently and they are the ones where physical laws are coherent without any extra tweeking needed (no fictitious forces needed). The explanation from the point of view of an inertial observer should be equivalent to Watsisname's but it should be given in other terms. I also feel that the actual inertial perspectiv on the subject should be extremely complex to wrap our heads around without doing many alienating calculations. Since we are not co-rotating is usefull to remember that Lagrange points are not fixed in space and move themselves. Also very important to remember is Kepler's third law, which here will be expressed by the fact that objects farther from the Sun have lower orbital speeds (the angular speed will be dependent as the -3/2 power of the distance to the Sun). We place ourselves at rest relative to the Sun-Earth barycenter. So. Lets say we want our probe to orbit the Sun but always been at the same distance from Earth without any additional effort, profiting from the gravitational landscape of the Solar System to acomplish that. If the Earth was a massless object then any point in Earth's orbit would be a suitable place to put our probe since it would travel just as Earth does but leading the march or lagging always the same constant amount. But the Earth has mass and some influence so your probe would be pulled back or ahead by the planet and it would be unable to mantain its heliocentric Earth-like orbit. This is interesting because Watsisname did the reverse, he started with a huge mass and then slowly went to the small Earth mass to show how nearly the entire orbit of Earth was covered with a low-inclination plain potential field. If we went a step further, to a massless Earth, we indeed would have equilibrium points all across Earth's orbit. So the L1 point is the easiest to understand. But first you have to abbandon the misconception that the gravitational tug of the Sun equals that of Earth in that point. This is not at all about that (in fact as we saw in previous posts, even the Moon is farther from Earth than the equal-force point). So no, L1 is not the place where the Earth screens the Sun's gravity and you can move freely as if there was no Sun nor Earth until they move and lose that particular vantage point, no! L1 is located closer to the Sun than Earth so an object at that distance in a circular heliocentric orbit should get ahead of the Earth since it moves faster in its orbit, but the Earth here is creating his magic; having the Earth right in the opposite direction of the Sun what your probe feels is that the Sun-Earth system is equivalent to a Sun without Earth but this Sun having a little less gravitational attraction. So the Earth is orbiting the Sun but our probe orbits as if it orbited a lighter Sun, this means that even if it is closer to it our probe can still move as slow as Earth due to the lesser influence of this lighter Sun. So the the probe moves at the same angular velocity around the Sun as the Earth because it feels the Sun less and it is closer (both effects balance out) so the L1 - Sun - Earth configuration is mantained constant. Bare in mind that the vector sum of the gravitational force of Earth and that of the Sun on an object placed here at L1 will have the same direction as to point to the Sun-Earth barycenter (so in fact L1 is orbiting the Sun-Earth barycenter also). L2 obeys a similar interaction. Instead of the tug of Earth screening a small part of the Sun's influence we get the Earth adding to the pull of the Sun (since L2 the Sun and the Earth are both in the same direction). A probe in L2 would, in principle, lag behind Earth because of Kepler's third law since it is farther from the Sun, but at the same time the Sun "feels stronger" (thanks to the extra pull of Earth) so you end up going faster than expected. Both effects balance out in the L2 point. And since you move at the same rate as the Earth here (same period or same angular velocity) you will always mantain the same configuration with respect to the Sun and to Earth and that in turn means that you will mantain this behaviour and the L2 point wouldn't go away from you (you will move with it). Again, as in L1, bare in mind that the vector sum of the gravitational force of Earth and that of the Sun on an object placed here (at L2) will have the same direction as to point to the Sun-Earth barycenter. L3 is similar to L2 but symetrical to the Sun. At the opposite side of Earth's orbit you notice the pull of the Sun as if Earth nearly didn't existed (you are ~2 AU from it) but Earth still contributes to make you feel the combined pulls of the Earth and the Sun in the same direction as if the Sun had gained some mass and was a little stronger than the Sun we feel from Earth. This means that you can orbit this "more massive Sun" quicker if you are in Earth's orbit but if you get a little farther from the Sun than Earth's orbit you would reach a state of "dynamical equilibrium" again were you are moving at the same speed as Earth does. This is interesting because we often see pictures of L3 been located in Earth's orbital path but in fact it is outside of it, like L2. The difference with L2 is that for you to beat the angular speed increase of the strong gravitational pull of the Sun and Earth you (now in L3) just need to get a little farther but since in L2 the Earth is quite close the influence that has to be overcomed is greater and thus you move considerably farther from Earth's orbit than in the case of L3 to archive the same balance. Again, as in L1 and L2, bare in mind that the vector sum of the gravitational force of Earth and that of the Sun on an object placed here (at L3) will have the same direction as to point to the Sun-Earth barycenter. Since the gravitational field of the Sun-Earth system is mirror-symetric to the Sun-Earth line then both L4 and L5 points have the exact same underlying explanation. Remember that L1, L2 and L3 all were orbiting the Sun-Earth barycenter because the net force (the result of adding Earth's tug and the Sun's tug) always pointed there? Well this fact was simple to grasp because in the 3 cases we had only vectors in the Sun-Earth line (so the net result would always lie in the same line as the Sun's and Earth's pull). But what if we could have a net force still pointed to the Sun-Earth barycenter but with the Earth's pull and the Sun's not been parallel from our position? Well, that's exactly the L4 and L5 points. Here you will experience the Sun pulling in one direction strongly and the Earth pulling in an other (not parallel to that of the Sun) more weakly but enought to have your net force dragging you to the Sun-Earth barycenter instead of just the Sun. Since this geometrical situation can be archived in many places we have to also include the restriction that you mantain the same orbital speed as Earth (if not you would feel the net force pointing to the Sun-Earth barycenter just for a brief moment and then you would be pulled slowly to a different direction as the distance to the Sun or to the Earth would vary). With both restrictions (having your net force pointing to the barycenter and moving at the same orbital period as Earth as to mantain that net force pointing to the barycenter) you end up with only two places in the entire system, and those are the L4 and L5 positions. This is dificult to adress in an inertial frame but let's try. To understand if L1 is a stable or unstable equilibrium point we are going to imagine our probe placed in 4 different places (all very close to L1). Let's take a slightly higer orbit from L1 (this means that we are in a Sun - system barycenter - L1 - our probe - Earth - L2 configuration). In this situation we have a greater pull from Earth so our net force will be pointing the same way (to the barycenter) but with less intensity (since here the Earth is now screening more of the Sun's influence). Been in a higher orbit alone would mean we are moving slower due to Kepler's 3th law but also we move slower because of the "lighter Sun" we have now. Because of that our probe would lag behind Earth. As this situation continues to evolve the net force would start to have a component pointing outside of the barycenter of the system (as the angle between the pull from the Sun and the pull from Earth gets lower than 180º). This in principle should be nice because it should impart some tangential motion on our probe so that it reaches L1 again, but sadly we are in a to high orbit for this to work. 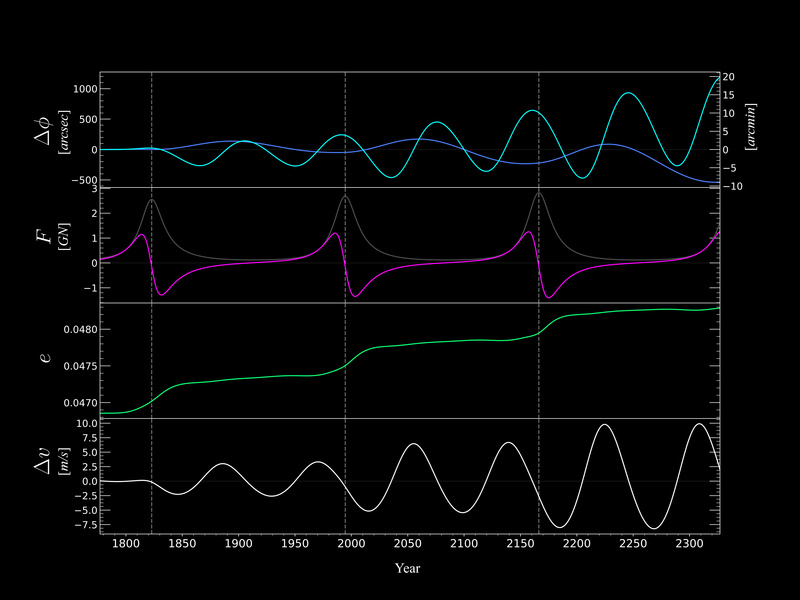 Our probe will gain a little acceleration but would end of still losing the race to Earth. But! this could happen if instead of moving to a higher orbit from L1 we mantain the same orbit as L1 but place our probe behind L1 as it moves. Then the orbit would have a smaller circunference than in the previous case and this new tangential pull would be enought to make our probe reach L1. Once the probe reached L1 it would probably have to much speed to mantain that position so it would come ahead of L1 and the reverse would hold. The probe would be oscillating like in a valley in this case. Lastly let's think about the Sun - system barycenter - our probe - L1 - Earth - L2 configuration (our probe is in a closer orbit than L1). In this situation we are faster than Earth since the pull of Earth is not enought (since we are farther from it) to overcome the effect of a smaller quicker orbit around the Sun. The probe would surpass Earth and it would end pulling us backwards, but not enougth strongly. As the tangential acceleration performs its magic the probe would slow down and lower the orbit even farther from L1 making the probe lose its place of near equilibrium. What does all of this means? It means that any displacement from L1 performed in the Sun-Earth line would end up been aplified and any deviation in the perpendicular direction of that line will be corrected and the equilibrium restored. So here we have for L1 a saddle point as was expected (stable equilibrium in one direction but unstable in other direction). Same thing as before but here the situation is more simple. Any small deviation from L2 in the Sun-Earth line can be explained in the same way for higher or lower orbits from L2; we are now considering a "heavier Sun" (due to Earth's contrubiting to the net pull in the same direction as the Sun). If we are in a lower orbit (with respect to L2) the probe will move faster and will overcome the Earth, but then a tangential force would try to slow down the probe because Earth would be alittle behind it. If it slows down the orbit shrinks again so a positive feedback loop is generated where the probe ends been separated more and more from L2. For a higher orbit the the probe would lag behind Earth so a tangential pull would appear that would speed up the probe throwing it to an even higher orbit and escaping L2 more and more. So L2 is an unstable equilibrium point for any direction you choose to displace your probe from it. L3 behaves exactly in the same manner due to the same reasoning but since it is farther away from Earth the instability is less abrupt and we still have a lot of margin to move the spacecraft around L3 without loosing control so quickly (this is a peak with a less inclined slope). Here is where I get lost. The geometrical configuration here is way more complex than in the other cases since it ceases to be a 1-dimensional problem and becomes 2D. I don't know exactly hot to picture this in my mind but any small deviation from L4 has to be diminished since as Watsisname explained this is a stable equilibrium. My guess is that this problem is equivalent to the problem where we only have the Sun and the probe, but this Sun changes mass slightly and harmonically and wobbles from one place to the other in such a way that it pulls the probe as if it was Earth. An animation should make this more visually clear. Let's say, for example, that we are ahead of L4 (still behind Earth). In this situation Earth's pull will increase in magnitude and the direction of the net force will change slightly (from the barycenter towards the Sun). The speed then would increase so the probe would archive a higher orbit and slow down, but this somehow would happen in such a way that L4 would surpass our probe because of that slowdownand we would end up behind L4 quickly, where the reverse would hold. We would be somhow oscillating around L4. How is this the case for displacements from L4 in any direction I don't really know but sure an animated diagram with the forces involved would clarify this a lot (maybe one day I try to do it). Wow FFT, you literally write an entire thesis every time you post. Quite impressive sir! I believe that the L4 and L5 are linked by balanced equilibrium caused by a the interactions of a barycentric mass (the Earth-Moon barycenter). The interactions of those together with the suns oscillations effect these Lagrange points (L5 and L4). I imagine a 'orbiting' probe might 'wobble' in a state of slight eccentricity in this position? Definitely a subject for some research (or frenzied activity on the forum). Source of the post I did try directly computing orbits with and without perturbation just to try to get some intuition for how the perturbation effect works. For starters I assumed co-planar, circular orbits, and also that only Neptune perturbs Uranus and not vice versa (which probably matters very little). Well, sorry for reviving this Neptune discovery thing again, but I felt I needed more comprehension on how Uranus's residuals (produced by the gavitational perturbations of Neptune) actually behaved. Since I'm not as hardworking (nor as clever) as Watsisname I didn't create my own N-body integrator (you are mad Watsisname, awesome mad). So I tried Rebound, an N-body integrator library used in Python and used it to program a bunch of scenarios and graphs with that. I wanted also to learn how to use Rebound so I could also experiment myself in my modest "coding-lab" on whatever topic comes next, and this was a good excuse to learn. What I did? Just reproduced Watsisname's residuals graph but now using the actual orbital parameters (Watsisname assumed two circular obits without inclination for Uranus nad Neptune and I've used JPL's current best orbital parameters for the integration). As he understood there is basically no large difference in the result. Rebound handles many different kind of N-body integrators but I choose the IAS15 which is fast and has adaptative time-steps (so that it get's more detailed when larger interactions are possibly occuring). 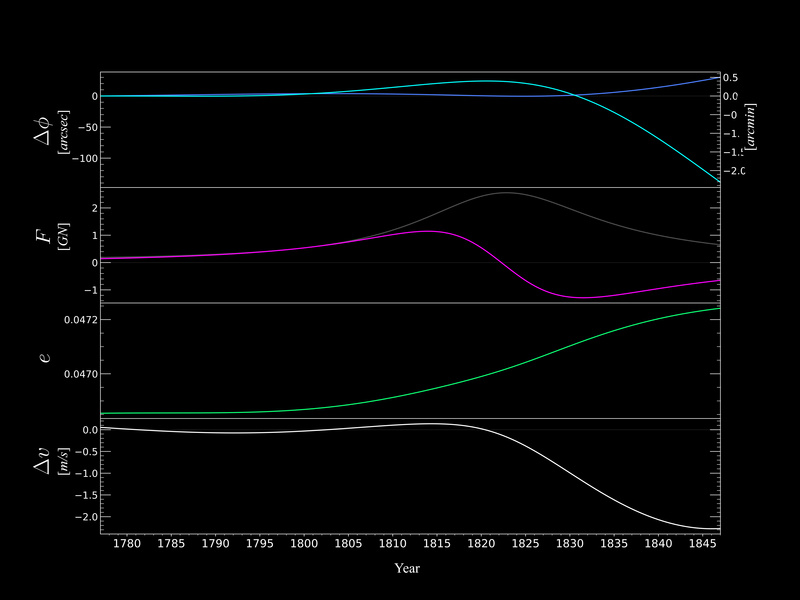 I wanted to know how exactly does this curve was generated (Why that periodicity between oppositions? for example) so either way I want to explain what exactly is going on here physically, because it's quite interesting. I did this video with the entire explanation but I will write some part of it here for the sake of clarity (you have to stop the video to many times and YouTube's lower progress bar might get in the middle of the text when pausing). Let me explain the parts of the simulation and the color-coding here. So we have an orbital diagram of the Solar System as viewed from above (with both axis measured in astronomical units) to the left and 4 graphs to the right (with the current year represented in the x-axis for all of them). Let's enumerate the graphs on the right from top to bottom; In the 1st graph we have two curves, the cyan for Uranus's residuals in its longitude and the darker blue one for Neptunes residuals. What is longitude? is just the position angle of a planet as viewed from the Sun. What are the resiudals in longitude? Well, they are the angular difference between Uranus's longitude if there was no Neptune (the theoretical position angle predicted for Uranus by scientists before the discovery of the perturbing planet: Neptune) and Uranus's longitude if Neptune exists (the actual empirical observation of the longitude of Uranus at the time). So the residuals are just a measure of how far theoretical predictions are from the actual observations of the time (as Neptune created that difference by its influence). The residuals for Neptune are just plotted in dark blue for comparison (no historical situation needed those but I wanted to know how Uranus's perturbs Neptune also). Even if the orbital diagram in the video does not show the other planets of the Solar System (just Uranus and Neptune) they where used to compute the longitude of Uranus and Neptune (in both the non-Neptune and Neptune scenarios needed for calculating the residual at any given time) since historically Le Verrier computed the residuals of the perturbing unknown body after taking into account the perturbations produced by the other 6 planets. This first graph has both arcsecond and arcminute tick marks in the y-axis. 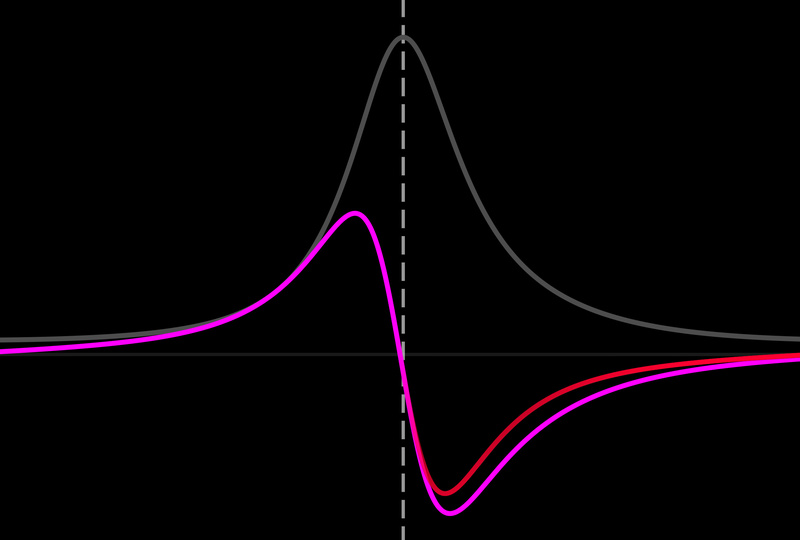 The 2nd graph shows the intensity of the gravitational force between Uranus and Neptune (in billions of Newtons or Giga-Newtons) as they get close and go away (in dark grey), but the important thing is the tangential component of this force (tangential to Uranus's orbit) whos intensity is represented by the magenta curve. Why we care for this particular component of the force vector? Because that force is the one generating an acceleration in the direction of motion and therefore is the one contributing to change the orbital speed of Uranus and in consequence is the one we should pay atention if we want to understand the behaviour of the residuals. The perpendicular component is basically pointing in the Sun-Uranus line (not entirely because the orbit is not a perfect circle) which means that the acceleration generated by this force does not contribute to change the speed of the object but only the direction at which the velocity vector is pointing. The 3th graph shows in green the excentricity of Uranus's orbit (yep it turns out it is very important for the explanation). The 4th graph shows the difference between the orbital speed of Uranus if there was no Neptune and the orbital speed considering the influencing presence of Neptune. The speed difference of the 4th graph is tiny (can be measured in meters per second) but it can accumulate over time to separate both versions of Uranus (the perturbed and unperturbed ones). All the graphs show a dotted vertical line for each opposition year (when Neptune and Uranus have their closest approach). The orbital diagram is very easy to understand; we have both the Sun as a yellow star icon and the orbits of Uranus and Neptune. But we have two dots for Uranus that are separating from each other; those are the perturbed/real/observed Uranus (magenta dot) and the unperturbed/Neptuneless/predicted version of Uranus (cyan dot). The angle between them as seen from the Sun is the value of Uranus's residual (that's why I drew lines coming from the Sun to both versions of Uranus). The only tricky thing here is that I have exaggerated this angle by a factor of 100 in the orbital diagram (as you can see the residuals fluctuate in the range of the 10ths and 100ths of arcseconds, not sufficiently large for our viewing purpouses in the orbital diagram). 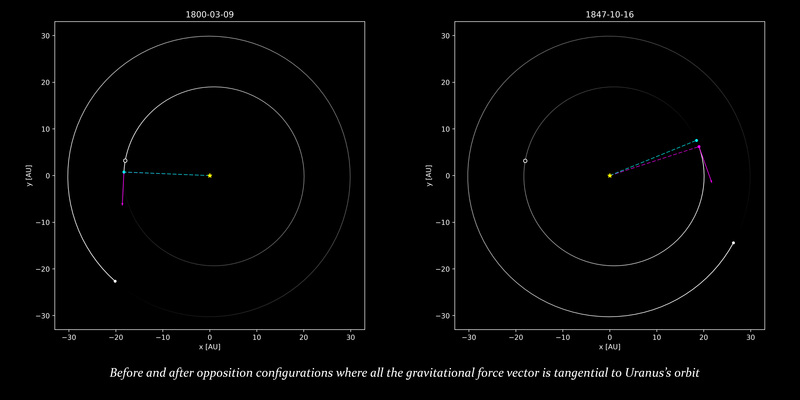 Finally I added some arrows; a dark grey arrow (it is nearly invisible) which show the gravitational force vector, and a magenta arrow showing the projection of this vector to the tangent of the orbit at Uranus (the tangential component of the gravitational force). A black filled circle in Uranus's orbit is marking the perihelion of the perturbed Uranus (the opposite side of the orbit is where the aphelion has to be then). The simulation starts the 1st of January of 1777 and evolves through 550 years of history to the year 2327. You can see how the residuals are as big as 200 arcseconds (more than 3 arcminutes) by the time Le Verrier and Galle discover Neptune. We can see that these residuals turn as big as to be naked eye visible after a few more years and if they tried to wait for some centuries their prediction would have been extremely accurate and based on clear evidence as the residuals get higher and higher. But no wait was needed, just in a few decades since Uranus's discovery the residuals were large enought to be detected by the telescopes of the time above any shadow of doubt (above what was reasonable by accounting uncertainties and instrumental errors). Why did the residuals got so large so quickly? #1 We would expect to see the larger perturbing force when Uranus and Neptune are closer (at opposition). This turns out to be false. Why? because at opposition nearly all the gravitational force is directed perpendicular to the direction of motion of Uranus and thus even if the gravitational tug of Neptune is the strongest it has no tangential component and the accelerations does not contribute to change the orbital speed of Uranus (only contributes to change the direction of the velocity vector slightly). #2 Then we should expect the perturbation to be maximized when the entire gravitational force is directed tangentially (as in the next image). False again. Yes, in this configuration Neptune would be pulling Uranus in the exact direction of motion but this happens in a configuration where Uranus is quite far away from Neptune so the pull, even if 100% tangential, is not as strong. The truth lies in a place between both situations, where there is plenty of force directed in Uranus's direction of motion since both planets are relatively close and in a sufficiently low incidence as to better influence each other. 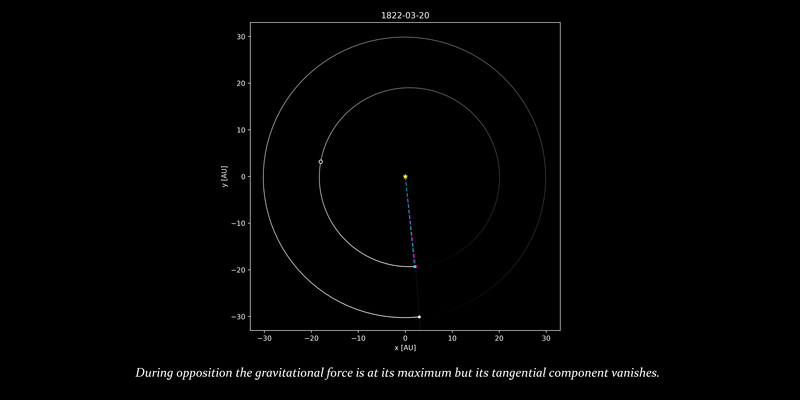 You can see this in the force graph of the simulation; the peak in tangential force does not occur when the net force is tangent to the orbit of Uranus nor when we are at opposition (at opposition we can see how the tangential force turns to zero but the gravitational force peaks). Le Verrier only used observations of Uranus made between 1781 and 1821 (zoomed version of the graphs for that period below). But he had some luck since in those 40 years the peak in Neptunes perturbing tangential force happened (in 1812 as can be seen in the simulation). If not he would have had to wait for around 172 years to see the next. Also opposition happenned in 1820. This is the reason humanity had such strong of a signal in that time and the residuals where evidently anomalous. Why the residuals oscillate between each Neptune's opposition? Well let's imagine a completely different problem. Let's suppose there is only one planet, Uranus. And let's create two different scenarios; in one Uranus has a low orbital excentricity and in the other Uranus's orbit is slightly more excentric. The other orbital parameters are mantained exactly the same. So, how the difference between the longitude of the low-excentricity Uranus and the longitude of the excentric Uranus is going to look like? Let's start both at aphelion. Here the excentric Uranus has to be farther from the Sun (because its aphelion is elevated with respect to the low-excentricity Uranus), this means that the low-excentricity Uranus will be faster at this point (aphelion) and has to traverse smaller distances. This makes the low-excentricity Uranus advance the excentric Uranus for a little (the residual angle get's larger). But there is another effect here. Both are falling towards perihelion (since both are at aphelion), so both Uranus are gaining speed, but the excentric one is gaining more of that extra speed as it falls from a higher elevation (a place with a higher gravitational potential). So, at some point (at perihelion) this effect would be so large that the excentric Uranus will have shortened the distance to the other Uranus and gained much more speed. Both coincide at perihelion but the excentric Uranus is traveling faster than the other and because of inertia it now surpasses the other (the residual angle start to go negative here). Then the reverse holds. As both Uranus climb the gravitational dwell of the Sun they lose speed in the way to aphelion, but the excentric Uranus gets quicker to higher potentials (since is going faster than the other) so it loses speed faster than the low-excentricity Uranus (the residual angle which is negative here starts to close until it reaches zero again). We arrive to aphelion again and the low-excentricity Uranus has climbed a lot and slowed down below the speed of the other Uranus since a while. The other Uranus is now profiting his larger speed to overcome the excentric Uranus. And the cycle repeats. This creates a sinusoidal behaviour for the residuals we have calculated here (the angular separation between the planets increases, then decreases, turns negative and increases in the negative values, finally it returns to zero after one cycle is completed). This oscillation of the residual has the same period as Uranus's orbital period. 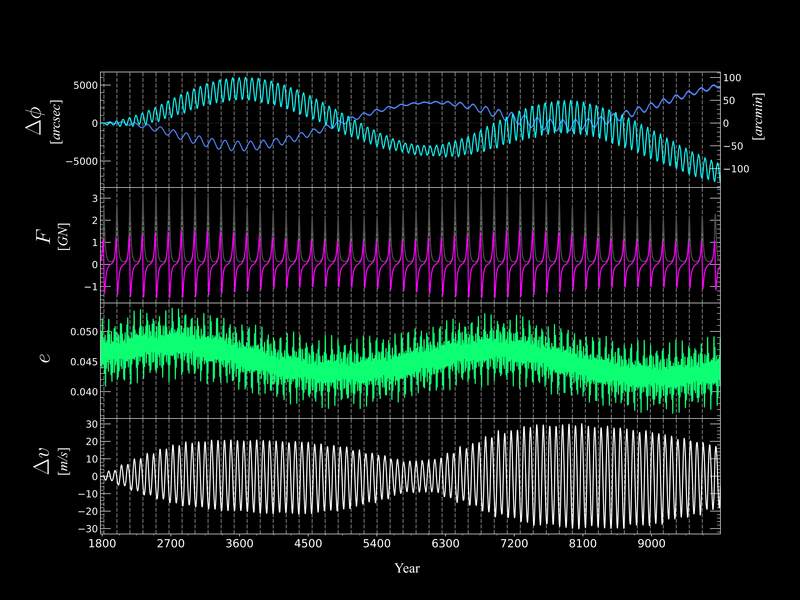 But why there are two oscillations for each Neptune opposition? Well, because Uranus has nearly a perfect 2:1 ratio in orbital periods with Neptune (a resonance). Just by chance each time Neptune completes a cycle Uranus has done 2 of them. What does Uranus excentricity has to do with the perturbation of Neptune? Nothing. Nothing at all. But Neptune is the responsible for the change of the eccentricity of Uranus's orbit and thus the cause of that half-period oscillation of the residuals between oppositions. Neptunes role here, therefore, is to excite that oscillation only (increasing it in amplitude). Neptune is just making the non-perturbed Uranus having to compete with a new Uranus with an orbit with higher excentricity (just as the problem we talked before). Each Neptune's opposition the perturbed Uranus gets a new more excentric orbit and thus the oscillation increases in the residuals (thanks to Neptune's kicks). Le Verrier would not have seen the oscillation itself (since that was accounted as part of the predicted longitude using the known excentricity of the time), but he noticed the arrival of Neptune as a "excentricity excitator", and only after that, with a new more excentric Uranus, the oscillations in the residuals are revealed. But how is Neptune really exciting Uranus's orbital excentricity? #3 The pull of Neptune just before opposition is of the same magnitude but opposite direction as the pull of Neptune just after the opposition, thus the perturbing effect of the later should cancel the perturbing effect of the former. Perturbations are specular symetric with respect to opposition and thus cancel out. Look in the video at the close encounter locations. Each opposition is happening when Uranus is on the way to aphelion (the half of its orbit where it is climbing the potential dwell of the Sun). This means that before opposition Uranus is traveling faster than after opposition (and not the other way around) because it is losing orbital speed as it goes to the aphelion. Neptune (which is always slower than Uranus) has the chance to influence Uranus slightly more after opposition than before opposition (here we have the symetry break!) because it has more time to influence Uranus in this part than in the other. While the before-opposition-influence tries to speed up Uranus the after-opposition-interaction tries to slow down it; since the second has more time to actuate we conclude that Neptune is able to get Uranus's speed decreased more than the previous increase and therefore the result long after Neptune's opposition is a slower Uranus. But what exactly a slower Uranus means in this part of the orbit? Well, since it is slower than it should be before aphelion this means that it has a bit less kinetic energy to climb in the potential dwell of the Sun; which translates to an decrease in the elevation of the aphelion of its orbit; which is just a complicated way of saying that the excentricity has decreased! But wait a moment, the excentricity is actually increasing (not decreasing). So there has to be an other effect here that counteracts the one just mentioned. Could the fact that Uranus's perihelion and Neptune's perihelion are located in opposite sides of the Solar System has something to do with this? Indeed this is a strange coincidence we havent mentioned yet; Neptune's "argument of perihelion" is at 276.3º while Uranus's argument of perihelion is 97.0º, so there are 179.3º of separation between them (suspiciously close to 180º which would mean they are opposite). Let's see what implications does it has; since the perihelions of both planets are located in opposite directions we have that Neptune's aphelion coincides with Uranus's perihelion (there is minimal interaction then in this region compared to any other configuration), but in exchange we have that Neptune's perihelion is oriented where Uranus's aphelion is located (which implies closer interactions than any other rotation of the ellipse shape of the orbits). So, if opposition is happening for Uranus when it is in the track between perihelion and aphelion opposition is happening for Neptune when it is in the track between its aphelion and perihelion (and viceversa). So, not only Uranus is quicker before opposition than after opposition because of the way the ellipse of its orbit is oriented but also Neptune is slower before opposition than after opposition because of the way his ellipse is oriented. Which means that both the fact that oppositions happens for Uranus in the perihelion-aphelion path and the fact that opposition also happens in Neptune's aphelion-perihelion path, are both responsable of Neptune having more time for influencing (slowing down) Uranus. Both effects are breaking the symetry, but both would tend to circularize the orbit of Uranus and not to increase its excentricity (as we are seeing in the graphs). So, we are still left with the problem of how Neptune is increasing Uranus's orbital excentricity exactly? Since none of the previous effects plays a role other than circularizing Uranus's orbit, there has to be an effect that counteracts both and allows for plenty of room for a slight net increase in excentricity. Finally the answer is; the perpendicular component of the force! Yep, we have disregarded this component because we thought that the important was the tangential force (applied in the direction of motion). 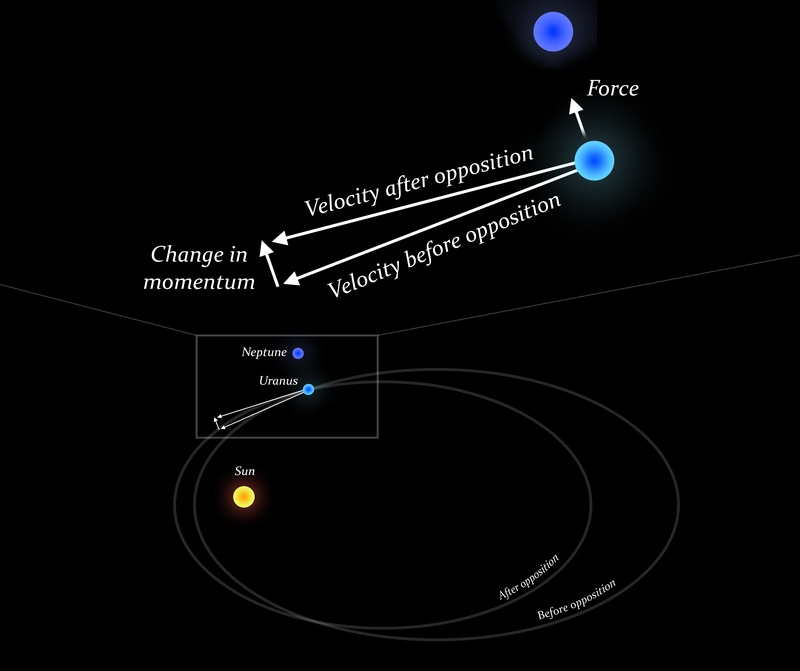 We assumed that, because the perpendicular component changes the velocity vector in direction but not in magnitude, and we were focusing our attention in the increase or decrease of orbital speed without realizing that the change in appearence of the orbit can also be acomplished without touching the orbital speed but only changing direction (something that the perpendicular component of the force does). 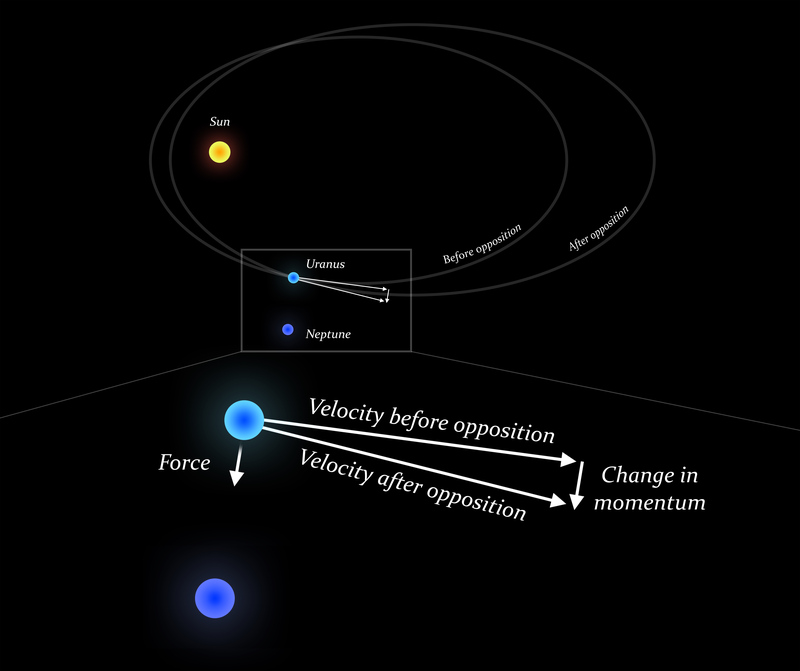 Let me explain in more detail; since oppositions always occur (at least in the time window represented in the video) when Uranus is climbing the potential dwell of the Sun, a "kick to the outside" (perpendicular to its motion and outside its orbit), like the one performed by Neptune (which is external to Uranus) will modify the velocity vector of Uranus, but only in direction. Now, with the same speed as if Neptune didn't existed, but pointing to a slighly outward direction, Uranus is able to have more of its motion pointing away from the Sun which means that if would climb farther its gravitational dwell, which means that the aphelion is been elevated, which means that the orbit is gaining excentricity! Finally! Think about it like this if you want: imagine the infinite line defined by the velocity vector of Uranus when he is in the perihelion-aphelion track and without Neptune present (and try to picture the distance of the Sun to this line). Now imagine the same line for the same situation except Neptune is present and at opposition; the force excerted by Neptune is directly related to the acceleration felt by Uranus. As we know acceleration is just the change in velocity but since the change is perpendicular to velocity in this case the velocity vector is just going to rotate a certain small angle. The infinite line created by this slightly rotated vector is now closer to the Sun. If you are able to take a moment to picture this it would be very important for the explanation. Since now the line of the extended velocity vector gets closer to the Sun, and since this line is tangent to the trajectory at that point we can conclude that the new trajectory gets closer to the Sun at perihelion (the perihelion has lowered and thus we have higher excentricity). I tried to make a scheme with photoshop to ilustrate the idea. As you can see opposition in this perihelion-aphelion track makes Uranus's perihelion go down and aphelion go up (excentricity increased). Since opposition is always happening in the perihelion-aphelion track of Uranus's orbit, Neptune has more time to slow down Uranus after opposition than before opposition where he's trying to increase Uranus's speed (using the tangential force). The net result is that Uranus gets slowed down by Neptune and because this happens in this part of the orbit. Uranus's orbit has a decrease in excentricity. Since opposition is always happening in the aphelion-perihelion track of Neptune's orbit, Neptune has more time to slow down Uranus after opposition than before opposition where he's trying to increase Uranus's speed (using the tangential force). The net result is that Uranus gets slowed down by Neptune and because this happens in this part of the orbit. Uranus's orbit has a decrease in excentricity. Since at opposition Neptune is pulling Uranus always to the right (according to a viewer placed in Uranus and facing in the direction of motion) by means of the perpendicular component of the force, Uranus is changing the direction of its velocity vector (without changing its magnitude) away from the Sun. The result is that, with the same speed pointing against a higher slope of the potential dwell of the Sun, Uranus is able to climb further to a new higher aphelion, which means that Uranus's orbital excentricity increases. So the first 2 effects try to circularize Uranus's orbit, but the third is the one exciting the excentricity, and it does so as to balance and overcome the other two effects. Why? probably because the intensity of the perpendicular force during opposition is much higher than the intensity of the tangential force in any conceivable moment. Since the third effect is the only one caused by this perpendicular force he es able to overcome the others. Now you can see that it is not perfectly symetrical and in fact you can see that the tangential force in the after-opposition is mantained for much longer than before-opposition (and it is even stronger). A last interesting note: to discard the fact that Uranus's perihelion is opposite to Neptune's is in any way playing a role here I tried to change the parameters of the simulation by establishing the same argument of perihelion for both Uranus and Neptune. In this way Uranus should be always at a safe distance from Neptune and the second effect would have no reason to exist. And indeed when I did this the only change was that the amplitude of the excentricity increased (but the increase in excentricity happened the same way in the same period and no decrease was shown as expected). This is because by doing this rotation of Neptune's orbit so that both planets are closer to the Sun in the same direction we have inhibited the second effect (which only damped the excentricity) so now the third effect has only to fight the first effect and thus the excentricity was more excited (the third effect was working more easily). Why this is interesting? Why I mentioned this first and second effect If I knew the one to blame was the third? Well, because I think that having both planets perihelia pointing in opposite directions is a controler for the out-of-control excentricity increase of Uranus's orbit and also because I suspect that this item has some important role in another future topic, Laplace resonance (since Io and Europa also have their perihelia pointing in opposite directions). How is it possible that the Neptune-Uranus system is then stable if the interaction keeps increasing Uranus's orbital excentricity? Aha! this is where it got me really interested. This has to do with the fact that Uranus and Neptune are close to the 2:1 resonance as I explained. This resonance means that opposition will always happen in the same part of the orbit and Neptune's influence will accumulate over time until it strips Uranus away from that region of the Solar System. I mean, that is what looks like to be happening in the video where the excentricity is just getting higher and higher. But remember this! in reality they are not in 2:1 resonance but just close to it (surprisingly this has a long-term shielding effect). The actual ratio between the periods is 1.96:1. That means that, for each orbit of Neptune, Uranus has made 1.96 orbits (nearly two but not), so for the two planets to coincide Uranus has to travel a little more to reach Neptune, meaning that the opposition would ocurr a little ahead of the last time it happened. So the 1.96:1 ratio is making the opposition location shift slowly in the same direction as the planet's motion. The shift is small (because we are too close to the 2:1 resonance where we would be at the exact same spot for all the oppositions) but in the long run you can see it driffting. Here we wait for thousands of years. Each frame corresponds to one opposition (that's why Uranus and Neptune seem to travel togheter). As you can see the near resonance produces the opposition point to travel in the same direction as the planets in their orbits. Within the first centuries (the span of the video) eccentricity is increasing because this opposition point is behind aphelion still, even if it is traveling closer and closer to it. As the opposition point surpasses aphelion around the year 2700 the effect is reversed and exentricity starts to be damped. In the year 3600 it has reached the original excentricity and continues to decrease until, in the year 4700, the opposition point surpasses perihelion and excentricity starts to be excited again. This 4500 year cycle is what in turn mantains the long-term stability of the Solar System (at least for this region), thanks to the fact that Uranus and Neptune are not in a 2:1 resonance but close. Another interesting thing to note in this gif is the wooble of the perihelion (it was changing position itself all this time!). As you can see the rest of the Solar System only adds a bit of "noise" in Neptune's generated excentricity signal. The periods of Jupiter and Saturn can are much lower so they perform higher frequency perturbations in Uranus's excentricity. Those are relatively large but not large enought to mess with general trend dominated by Neptune's influence. How is it possible that Neptune's influence on Uranus is stronger than Jupiter's or Saturn's? This might seem a stupid question, but consider the following; Uranus-Neptune distance at opposition is 11 AU but Saturn-Uranus distance is 10 AU. Not only Saturn gets closer to Uranus but it is also much more massive than Neptune, thus more gravitational force should be at play there. Also consider Jupiter; it gets as close as 14 AU from Uranus. Okay Jupiter is 1,4 farther than Neptune at best and since gravitational interactions goes as the inverse square of distance this implies a 1,96 times weaker force than that excerted from Neptune. But wait! Jupiter is 18,7 times more massive than Neptune! So the reality is that Jupiter and Saturn both have stringer pulls on Uranus than Neptune has. This is a call for another missconception. #4 Since Jupiter and Saturn pull stronger on Uranus than Neptune they should be the dominant perturbing forces in our graphs. Well, weaker Neptune has two advantages that neither Jupiter nor Saturn have. First is the near resonance; neither Jupiter nor Saturn have such a close orbital ratio with Uranus as Neptune, this is why Neptune is able to increase the excentricity of Uranus continuosly during long time periods and in a consitent manner while Saturn and Jupiter make opposition with Uranus in more randomized places (since the resonance argument is no longer a rational number) increasing and decreasing the eccentricity without any cumulative power in the long-run. The second thing is time; Neptune has plenty of time to influence Uranus at near opposition since it moves slowly, Jupiter and Saturn just pass very quickly as they have the hurry to complete their orbits 13,9 and 5,6 times more rapidly than Neptune has. That is awesome, FastFourierTransform! Your plots and video are gorgeous, and great job pinning down the details of the dynamics. You shed a lot of light on the mystery, which is quite surprisingly complex indeed, and I will need to give this a more careful re-read later as well. It is very interesting to see the role of the changing eccentricity. This was also a misconception of mine -- that the influence of Neptune is not actually symmetric and does not cancel out after opposition. I had started doing a bit of coding to try to study the behavior of the 1:2:4 Laplace resonance with the Galilean moons, and I had also noticed the effect on the eccentricity, especially with Europa. Unfortunately my python code is quite slow, and cannot quickly integrate out over very many orbits without losing a lot of accuracy. 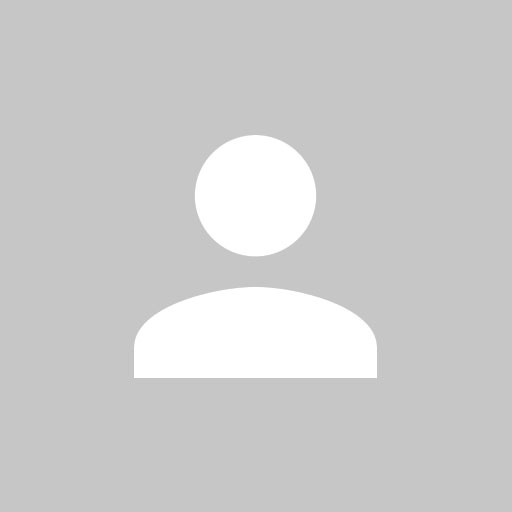 (Kudos for using a fast and accurate integrator so you did not have this problem.) So while I was able to see the orbital evolution, I could not get enough of it to get a good grasp on what was happening. Just as you encountered with Uranus, I could not make sense of how the eccentricity could keep growing yet keep the system stable. Your realization that it depends on being slightly off of true resonance, so that the effect smooths out over many orbits, was exactly what I needed to learn as well -- from what I can tell it applies to the Galilean system in the same way.